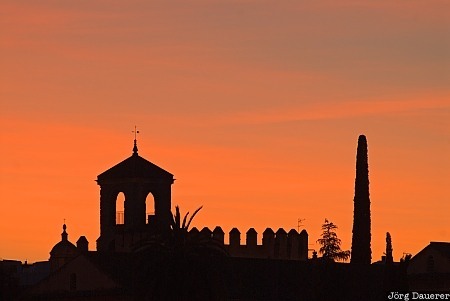 The silhouette of the castle of Cordoba (Alcazar de lo Reyes) in front of a colorful sunset sky, Andalusia, Spain. This photo was taken in the evening of a sunny day in March of 2008. This photo was taken with a digital camera.